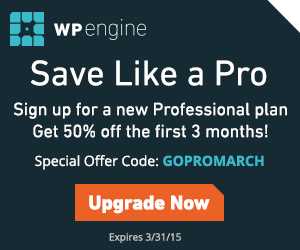 This month, WP Engine is offering 50% off their professional plan for the first three months! We love WP Engine and definitely recommend their services. Offer valid through the end of March, 2015.